‘here nor there’ is a locative art walk inspired by the Situationist ‘dérive’ or randomly motivated walk. 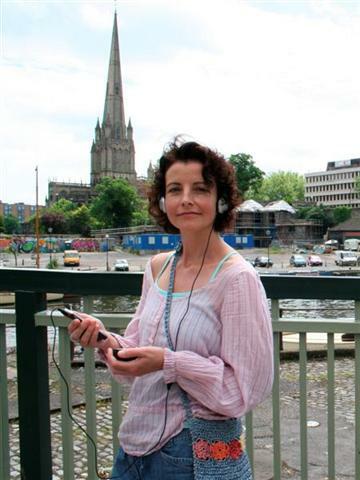 Essentially about walking and discovery the piece allows you to wander freely in the area between the churches of St Paul’s Southville, St Mary’s Redcliffe and Bristol Cathedral, and whilst doing so rediscover images and sounds recorded during my own walks. These are triggered by GPS and relayed to your handheld computer screen and headphones. Created using the Mobile Bristol Authoring Tool ‘here nor there’ is part calculated and programmed bu t also dependent on chance and spontaneous unknown factors. The piece reframes your experience of location and by fusing art and technology it employs a strategy from the past whilst pointing to, and suggesting possibilities for the future.